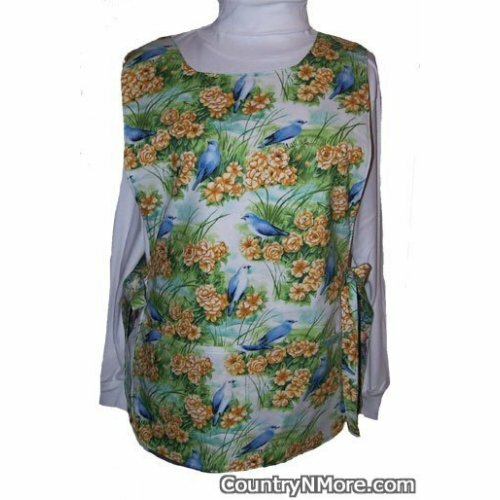 The beautiful Mountain Bluebirds on this cobbler apron, are taking a rest in the nearby plants along the cool river. The blues and green colors are absolutely gorgeous on this apron. 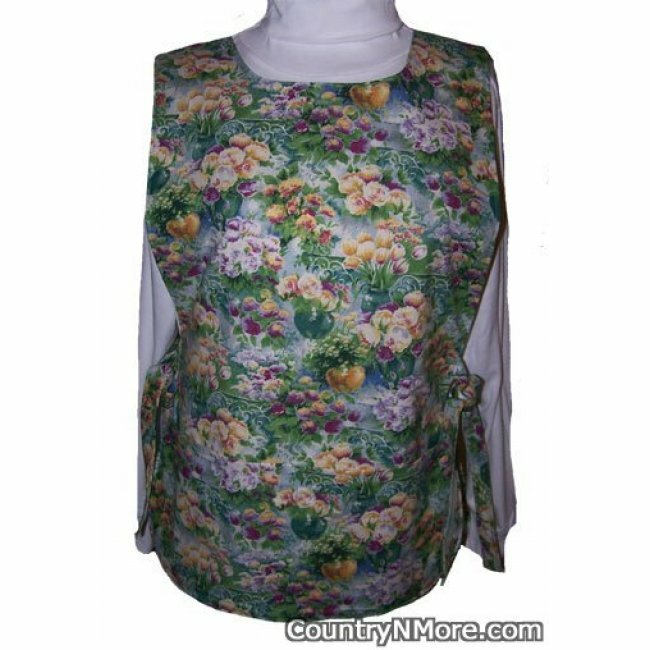 The reverse side of this gorgeous handmade apron, has different floral vases, filled with purple flowers and yellow flowers. Whether you like birds or flowers, this would be perfect for you.